These words are like a rope three threads strong. Every country has these three things braided together to give it its own character. When we moved to Portugal we bought our first T.V., vowing as a family that is was a tool to learn the language. In our new culture T.V. is a huge thing – it's on literally all the time in almost every home. We had also heard that watching T.V. in the local language was a great way of learning the language of our new home. Now, almost three years later, I couldn’t agree more. In the beginning we tried everything from telenovelas to sports to news. Then one day I found the cooking channel. There was this sweet middle age tia (auntie) making typical Portuguese food. In my new home (that didn’t yet feel like home) I felt a warm feeling of familiarity. As I watched, and at the time understood maybe one or two words throughout the whole show, I decided that this would be my tool – a cooking show! I like to cook and being a mom of a semi-large family I do it often. As time went by my daughter and I would pick out more and more words allowing the feeling of familiarity to grow deeper and deeper. In the first few weeks Fletcher, one of my sons, joined me as I watched and listened to the still crazy sounds of this new language. The creation our Tia was making looked amazing and I desired so much to be able to create it as well. I looked at my son as he expressed the same feeling and told him one day I would make it for him. I hit pause and wrote down the name of the recipe. 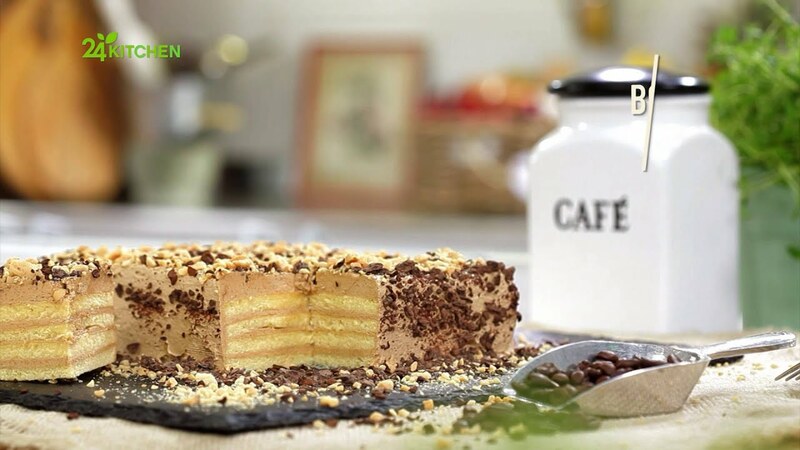 It was called Bolo do café, or coffee cake. Two weeks ago, keeping to routine, the four kids and I were watching Tia Cátia and sipping tea and coffee. As I looked around my full couch, it dawned on me how long we had been keeping to this routine. Now able to understand nearly everything our new auntie was saying yet laughing at the one word we couldn’t understand her say. Uhmay? Oh ‘yummy!’ My heart felt full and at home. It just so happened that I needed to prepare a Portuguese dessert for a workshop I was running the following week in Germany. I remembered the cake Fletcher and I had first wanted to create and thought this would be a perfect opportunity see the fruit of our faithfulness in keeping to routine. I now felt familiar enough to snag the recipe from the show and follow the steps that were given in Portuguese. I did so and felt prepared to create the cake in front of others the following week. I was so blessed as I walked others through this receipe; I saw how faithful perseverence produces fruit. With language there is always so much discouragement; we are always pressing on, trying and trying over and over again, feeling stupid and nowhere near our expectation mark. I am so grateful for the moment where God allowed me to see progress was made. Over the course of much time and with much effort towards pursuit, even when you feel like it’s not making a difference. I can’t wait to watch Tia Cátia this afternoon and enjoy the continued process of these rope strands intertwining together to make a strong bond for me in this country I now call home. Try Bolo do café out for yourself and see if you enjoy it as much as we did!